Ishq Junoon Deewangi is a Pakistani most famous romantic drama serial in which Humayun Saeed, Humaima Malik, Nadia Husain, and Aijaz Aslam played leading roles. The serial got much popularity based on love and emotional story written and produced by Momina Duraid. The serial was broadcasted on HUM TV on 15 May to 16 October 2009. 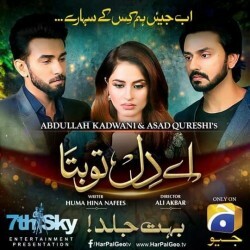 If you are looking for Ishq Junoon Deewangi drama actors names, timings, on-air days, photos, and OST title song then you can find these here. You can also find the public opinion and reviews about Ishq Junoon Deewangi drama here.